The governor and legislative leaders want to raise $52 billion to fix California roads through a big increase in the gas tax along with higher car registration fees and a $100 charge on emission-free vehicles, a person told The Associated Press on Wednesday. The 10-year plan would boost gasoline excise taxes by 12 cents a gallon - a 43 percent increase, said the person who has direct knowledge of the proposal but sought anonymity because details were being officially announced later in the day. The plan also includes a sliding fee on vehicles, with owners of cheaper vehicles paying less. For the first time, owners of zero emission vehicles would pay a $100 annual fee, since they use public roads but don't pay gasoline taxes. The proposal includes a constitutional amendment requiring that the money be spent only on transportation projects, and it would create an inspector general to make sure money isn't misspent. Critics have long complained that money raised by transportation taxes has been siphoned off for other uses, something the constitutional amendment is designed to prevent. In a news release about the plan, Gov. Jerry Brown's office called it "a landmark road repair and transportation investment package" that would fix roads, freeways and bridges, with other money spent on mass transit. The release didn't provide further details. He has set an April 6 goal for the Legislature to pass a transportation funding package. Brown, Senate Pro Tem Kevin de Leon and Assembly Speaker Anthony Rendon were set to unveil the package at the Capitol. It's the third time Brown has attempted to address the multibillion-dollar backlog in transportation repairs and upgrades through tax increases. 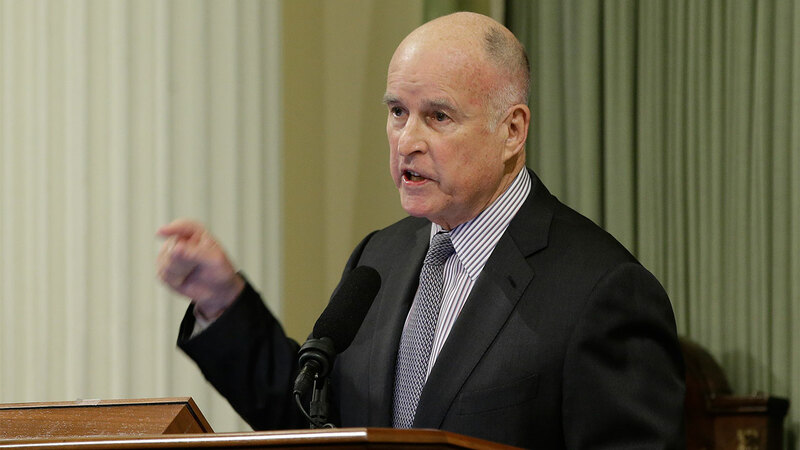 Brown's previous plans and others calling for tax increases have repeatedly stalled in the Legislature, with Republicans and moderate Democrats reluctant to back the higher taxes. Democrats control enough seats for the proposal to pass the Assembly and Senate with the two-thirds majority required for tax increases. Brown will need nearly all of them unless he can pick up support from Republicans, who have opposed raising taxes to pay for road construction. The Assembly will be particularly challenging. A number of Democrats eked out wins in the November election and could be vulnerable in the next campaign if they vote to raise taxes. Moderate Democrats, many from inland districts where voters are generally poorer and face long commutes to work, may be concerned about raising gas prices. "We can no longer afford to ignore our crumbling and limited public transportation infrastructure," Sen. Scott Wiener, a Democrat from San Francisco, said in a statement. He praised the agreement for increasing money for public transportation, but said public transit needs even more money. - The gasoline tax would raise $24.4 billion over 10 years. - The state's current 16-cent-a-gallon diesel excise tax would climb by 20 cents - a 125 percent increase. It would raise $7.3 billion over 10 years. - An increase in the diesel sales tax would raise $3.5 billion over 10 years. - The sliding vehicle fee is similar to what owners already pay annually to the state Department of Motor Vehicles. It is projected to raise $16.3 billion.